A Titanic enthusiast from Connecticut was inspired to write a children’s book due to children’s enduring interest in the Titanic. This illustrated alphabet book will bring out the Titanic enthusiast in every child. What better way to teach to children the popular lore of the Titanic than through a children’s book? Alexandra Besitka did just that with her alphabet book “Titanabet” (Page Publishing; 2017). Even though they are still too young to watch the 1997 film, it is never too early to know how one of the worst maritime disasters in history unfolded. Besitka was in third grade when she first heard about the “unsinkable” RMS Titanic and the tragedy that took place in 1912. It was only after watching the National Geographic documentary “Secrets of the Titanic” that she became mesmerized with the story and immediately developed not only a passion for the Titanic but also a dream inspired by it. The inspiration that drove Besitka to write the book and its subsequent publication attest to the fact that even after a century later, interest in the Titanic remains unsinkable. People, young and old, are still fascinated. 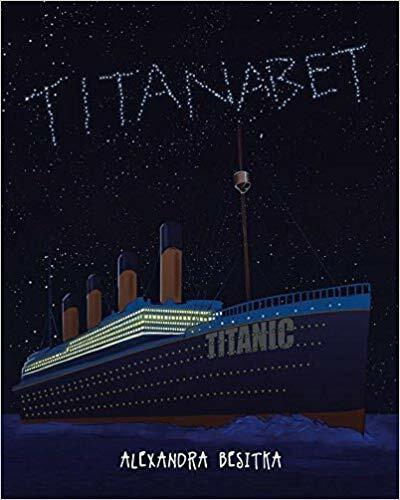 Get a copy of Alexandra Besitka’s “Titanabet” and be fascinated anew by the lore of the Titanic. Visit Amazon (https://www.amazon.com/Titanabet-Alexandra-Besitka/dp/1635684692) and Barnes & Noble (https://www.barnesandnoble.com/w/titanabet-alexandra-besitka/1127626310). Watch out for the public display of the book at the upcoming Miami Book Fair on November 11 to 18, 2018 at Miami Dade College. Alexandra Besitka is a graduate of Eastern Nazarene College. She attained a BA degree in Communications with a primary focus in Public relations and Advertising in 2006. She chose to pursue her degree in public relation because of her passion for the Titanic. During her internship at Mystic Aquarium and Institute for Exploration in 2008, she was given the honor of responding to fan emails for Dr. Robert Ballard, the discoverer of the Titanic. Seeing drawings of the Titanic and reading questions written by young children about the famous disaster inspired and motivated the creation of this book. Alexandra currently resides in Wallingford, Connecticut.